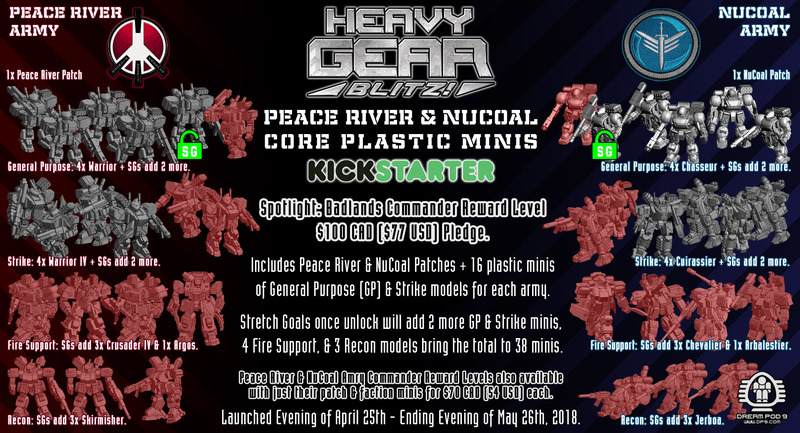 Dream Pod 9: Peace River & NuCoal Kickstarter Stretch Goal 02 Unlocked! We unlocked our second Stretch Goal today with $30K CAD Pledged, thank you to all our Backers. We'll be adding 1 more Chasseur plastic mini to the NuCoal Army & Badlands Commander Reward Level Packages and their Hero of Versions. I passed by Fusion Models last night and picked up the first resin casting of the Peace River Black Wind VTOL resin miniature. I'll be heading into the office this morning to take some photos of the parts and then assembled model and then make another update post with them today. 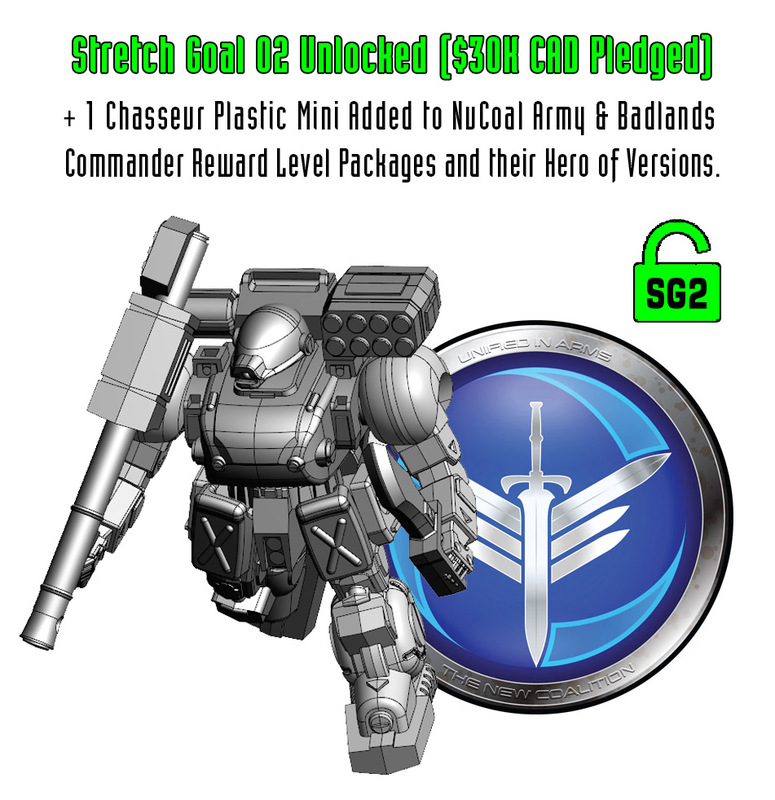 Also Updated the Badlands Commander Spotlight image with the first two stretch goals unlocked. Home › Blogs › Robert Dubois's blog › Peace River & NuCoal Kickstarter Stretch Goal 02 Unlocked!